The Lagos State Government has urged residents to stop soil pollution. Commissioner for the Environment Mr. Babatunde Durosinmi-Etti gave the advice at the World Soil Day in Alausa, Ikeja. Durosinmi-Etti urged the citizens to protect the environment, adding that soil pollution does no one any good. In a statement, the ministry’s Assistant Director, Public Affairs, Mr. Mukaila Sanusi, explained that the theme of the event was aimed at raising awareness on the sustainability of an healthy ecosystem by addressing the challenges of soil management. He said the event was also aimed at encouraging organisations, communities and individuals to pay attention to soil issues. Durosinmi-Etti, according to the statement, urged communities to pay attention to sources of soil pollution, such as agrochemicals, petroleum-derived products, chemicals used in or produced as by-products of industrial activities, and domestic, livestock and municipal wastes, and wastewater. “These chemicals are released to the environment accidentally through oil spills or leachate from landfills. They are sometimes released intentionally as is the case with the use of fertilisers and pesticides, irrigation with untreated waste water, or land application of sewage sludge. Soil pollution also results from mining, transportation, poor waste disposal, flood and erosion, among other activities impacting negatively on soils”, he said. Durosinmi-Etti said soil pollution was dangerous to the climate, nutrient cycling, food production, water purification, food quality and habitat for organisms. “Soil pollutants harm soil microorganisms and larger soil-dwelling organisms, thereby affecting soil biodiversity and the services provided by the affected organisms,” he added. 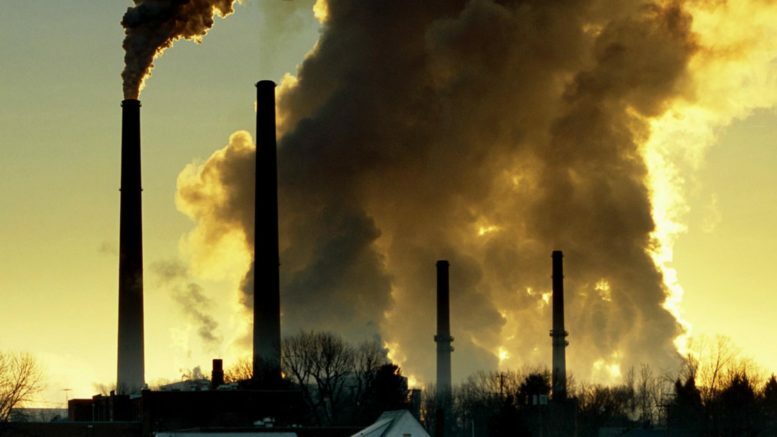 Pollution, he continued, has impact on health through contamination from heavy metals, such as arsenic, lead and cadmium, and food security would be compromised as crops produced from polluted soils are unsafe for human and animal consumption. To protect the soil, the commissioner urged rsidents to desist from indiscriminate disposal of used oil, uncontrolled use of agrochemicals and improper disposal of urban and industrial wastes. Be the first to comment on "Lagos Warns Residents Against Soil Pollution"